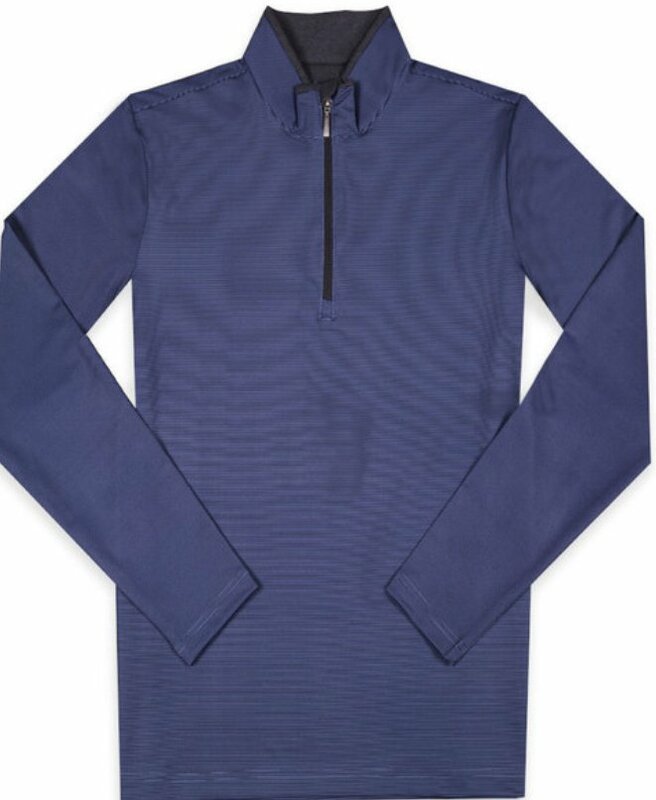 The ¾ zip design features a fabric sleeve to prevent pinching. Made with spandex for comfort and reduced garment weight. The micro-stripe pattern adds a modern twist to a classic look.